According to reports, the victim had just moved into the condominium a week earlier. It appears he worked for the Samsung Group and was in Pattaya on business. 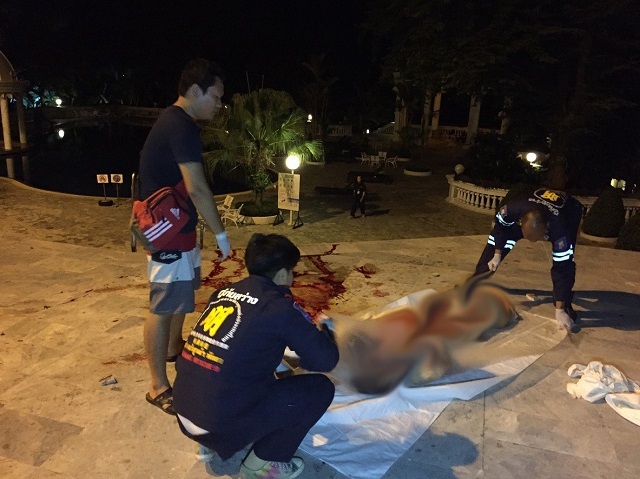 The foreigner’s body was found by condominium staff near the communal swimming pool at around 3 a.m. Staff told police officers that the Korean businessman had returned to his room late on Tuesday night and “appeared to be intoxicated,” indicating that the tragic fall was an accident.